These are partly soft sweet black licorice and partly soft, light textured banana candy. The taste combination is delicious! 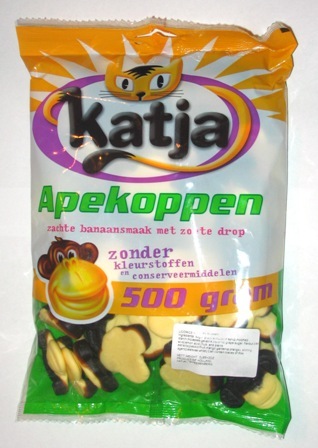 Apekoppen are shaped like adorable monkey faces.